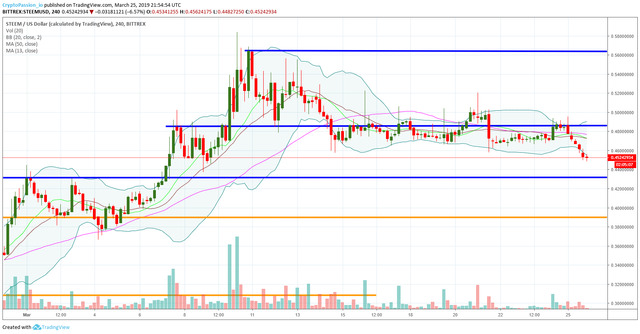 The STEEM has not been able to break the resistance line around 0.49$. Due to that fail and the drop of the BTC, we are droping and going in the direction of the 0.43$ support line. Let's see if that line will hold us or if we are starting a big correction on all the cryptos. Till now no drama even it is not the best scenario. Let's just wait, this pattern happens all the time going down a little bit to make people think they're going down, when are thinking to go up. 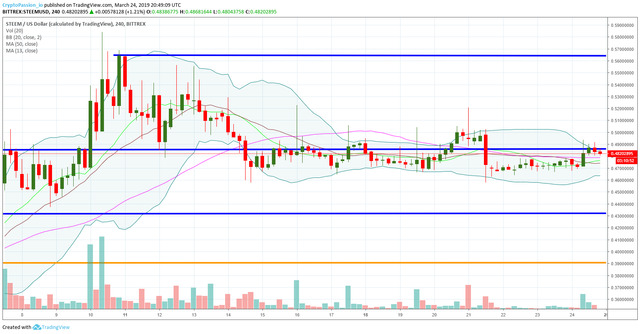 For sure, we had that many times in the last weeks but it is not a bad indicator, it shows the market want change the current trend but is not yet powerfull enough.